The sky tonight isn’t black so much as it’s deep, and it’s easy to lose one’s self to the deep, the way you can lose yourself in someone’s eyes. Nothing puts life into perspective than the vast distances of space, unfathomable in their size. In the grand scheme of the universe, we are nothing. Just dust. Motes. If you can feel it, it takes your breath away, and your heart jumps a beat or three. Motes in the deep. The stars, the planets, those little pinpricks of light in the sky. Those aren’t just lights in the night. Those are places that we so often never think about. Places that only live in our dreams, places that live in “boyish wonder.” Places in the deep. Tonight, let’s talk about five places I want to visit, five places in the deep. The longest canyon in the solar system, an enormous gash across the surface of Mars, it would stretch from New York to Seattle. 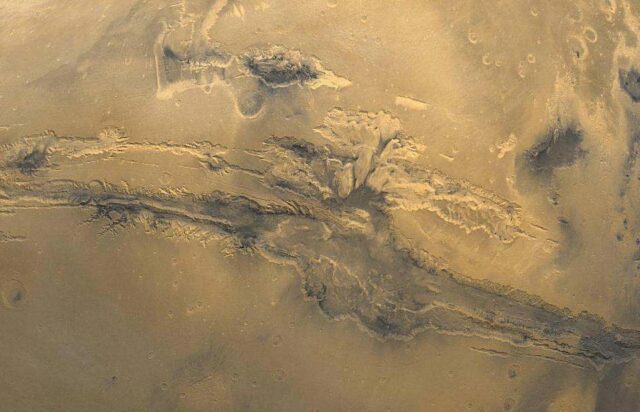 Could you imagine flying down the Valles Marineris at hypersonic speeds? I certainly can! The second of the Galilean moons of Jupiter, Europa has an ice covered surface and a liquid ocean underneath. 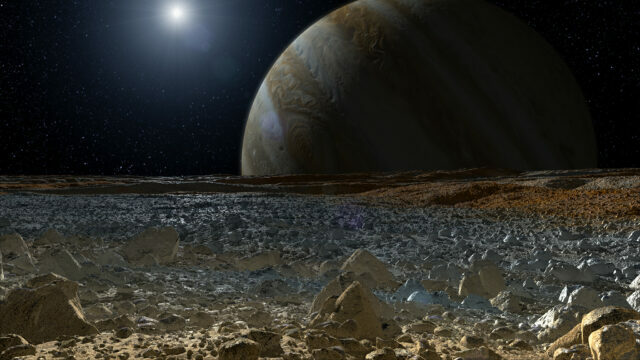 Arthur C. Clarke famously speculated on the possibility of life beneath Europa’s ice in 2010: Odyssey Two, and 2061: Odyssey Three revealed what had become of that life following Jupiter’s transformation into a star. To dive beneath the surface of Europa in a submersible! That would be magnificent. 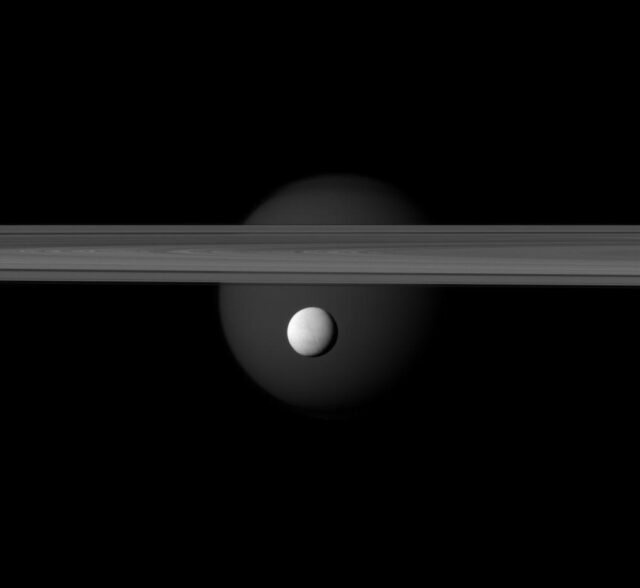 The second innermost of Saturn’s major moons, Enceladus is much like Europa — icy surface with a liquid ocean underneath. Imagine the view! The rings of Saturn! The dance of the many moons around the ringed planet! There might even be a starship from the fithp there! 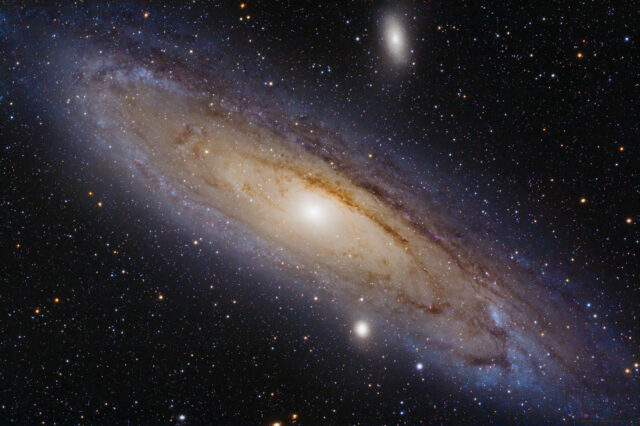 The closest major galaxy to our own Milky Way, in about two and a half billion years Andromeda will collide with our galaxy, and over the next billion or so years the two galaxies will collapse into a spherical galaxy, most likely. I sometimes get depressed that I won’t live long enough to see the collision of these two galaxies. Then I realize that humanity will be long forgotten by then. Who knows what sort of civilization will be alive then to witness the merging of the two galaxies. To be fair, it’s entirely possible that nothing like this exists in the universe now or will exist in the future. But what an amazing place it would be to visit! 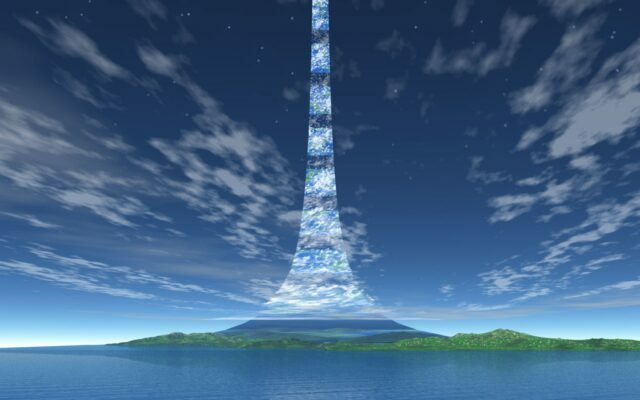 Sometimes I look up in the sky and wonder why I can’t find the Arch of Heaven. That’s the thing — you can look up in the sky and imagine anything. If you open yourself to the enormity of the universe, you can find an entirely different perspective on life. Taken from The Daily Post‘s “The Wanderer” prompt. Very original take on the prompt. Well done. Very interesting, thank you for teaching me something new today.